Msgr. Georges Abou Khazen applauds the joint document signed by Francis and Ahmad Muhammad Al-Tayyib. For the first time "an imam speaks in the name of all Muslims". The common struggle against violence and terrorism "is also important for us, in Syria". Citizenship as a common element. Aleppo (AsiaNews) - The document signed yesterday by Pope Francis and the great imam of Al-Azhar (Egypt), Ahmad Muhammad Al-Tayyib, in the context of the Pope's trip to the Emirates "may represent the new Magna Charta in relations between the Christian world and Muslim ". Apostolic Vicar of Aleppo dei Latini, Msgr. 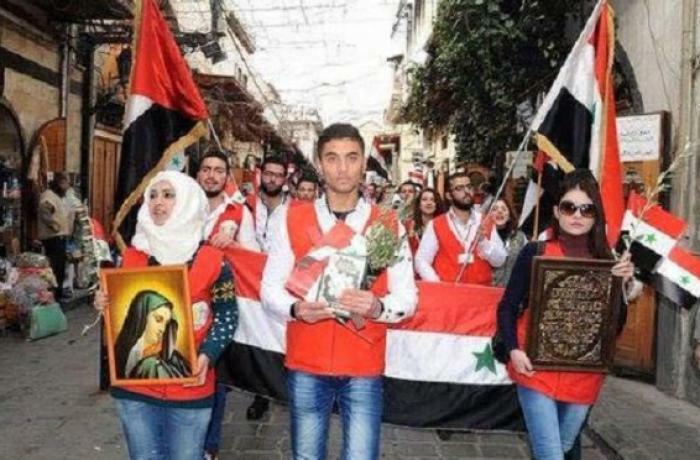 Georges Abou Khazen, commented to AsiaNews on the "historic visit not only for the East, but for the whole world" from a political and religious point of view. "In the text - explains the prelate - both affirm that dialogue must be the rule, the basis of behavior and they invite everyone to follow this model. Relegating terrorists and fundamentalists to margins ... a very important step, also for us in Syria ". This morning the Pope celebrated the first public mass in Arabia, in front of more than 120 thousand people and a large Muslim delegation, led by the Minister for Tolerance and other prominent dignitaries. Speaking at yesterday's interreligious meeting in Abu Dhabi, the pontiff said ["in an Arab and Muslim nation, in front of everyone, that's why it's even more important," says the vicar of Aleppo] that religions must deny the support for wars and violence. "In a nation - underlines Msgr. Georges - where the majority of citizens are Muslims, but there is a substantial Christian component formed by immigrants, this journey has great significance because it shows what real freedom of worship is. I myself have visited the UAE in the past and I have seen the great churches, the possibility of living the faith. On Fridays (which is equivalent to Christian Sundays) masses start at seven in the morning and end at 10 pm, held every hour. Thousands of people participate in every function, a great encouragement for Christians in Islamic land ". The prelate insists on the importance of the document signed by the pope and the imam, which "could have important implications for us too, in Syria, where this trip had a huge echo and the mass was broadcast live on TV". "Al-Azhar is a point of reference for the Muslim world - he adds - and the pope is the voice of the Catholics of the world. Both have signed a demanding text, marked by peace, respect for religious freedom and against violence ". However, what really matters is that "for the first time an imam speaks in the name of all Muslims and engages in their name. He enjoys great moral authority, we hope he will be truly followed and listened to". "The imam - continues the vicar of Aleppo - states that Christians are not minorities in the Middle East, but citizens of different countries. He addresses the same Christians, telling them to be people with the same rights and duties. And invites the Muslim world to protect Christians where there are abuses and violence, considering them 'citizens' of the same level. 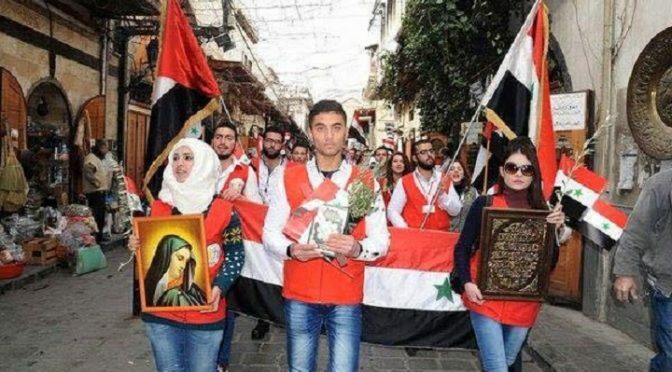 The insistence on the concept of citizenship as a common factor is essential; the sharing of values ​​must apply to Syria, just like any other nation. It is a document that applies to everyone". Finally, the document is a call to the West to "keep faith with values ​​such as the fight against poverty, the protection of the family, the contrast of policies that promote abortion, with a common commitment to rights in all areas". At the same time there is a "firm condemnation of war and the sale of arms" and Pope Francis himself "in his speeches recalled the ongoing conflicts in the region. A courageous voice, which we hope - he concludes - is heard because it comes right in the heart of a region torn apart by bloody wars ".